(from Wikipedia, the free Encyclopedia) The Lotus Elise is a two seat, rear-wheel drive, mid-engined roadster conceived in early 1994 and released in September 1996 by the English manufacturer Lotus Cars. The car has a hand-finished fibreglass body shell atop its bonded extruded aluminium chassis that provides a rigid platform for the suspension, while keeping weight and production costs to a minimum. The roadster is capable of speeds up to 240 km/h (150 mph). The Elise was named after Elisa, the granddaughter of Romano Artioli who was chairman of Lotus at the time of the car's launch.This Series 2 Elise model comes in European 111R version or a version sold in North America, called the Federal Elise. It is powered by the all-aluminium 189 horsepower (141 kW) 1.8 l DOHC Toyota ZZ engine with a Yamaha designed twin-cam head offering variable valve timing on both intake and exhaust valvetrain, and a 6 speed manual Toyota gearbox. The Series 2 model is acclaimed as the best version of the Elise to date, with tremendous performance numbers. Many tests show 0–60 miles per hour (97 km/h) in approximately 4.9 seconds, or 4.7 seconds with the Sport Package. The engine management computer is a Lotus programmed unit. The 2005 Lotus Elise was the first to be sold commercially in the United States, in the summer of 2004. Approval for the Elise, however, required intervention by the National Highway Traffic Safety Administration (NHTSA) who provided a three-year exemption for the car, as it had failed to meet US bumper and headlight regulations. 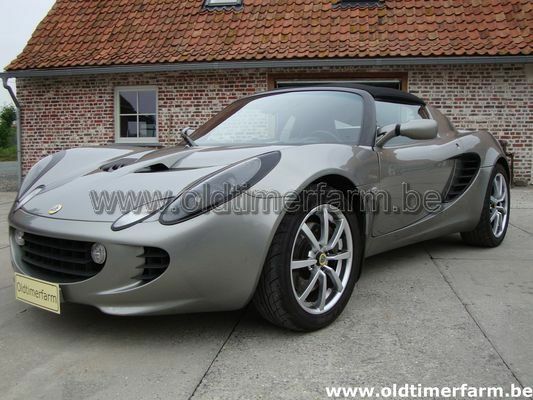 All Lotus Elise cars manufactured after January 1, 2007 include the new headlights and 2.5 mph (4.0 km/h) bumpers, although they are hidden in the front.This model has been followed up by the 2006 Model Year Elise 111R and SportRacer models. 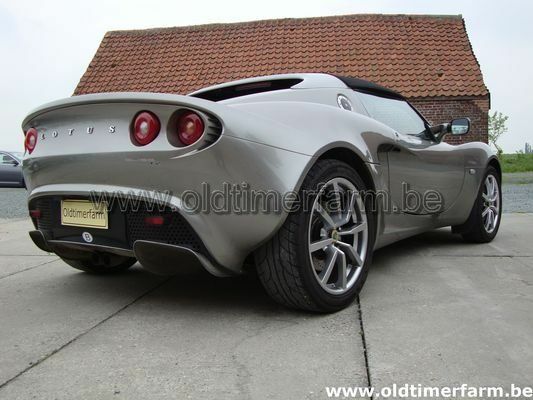 Lotus made a limited edition (50 in the US) version of the Lotus Elise as well, called the Lotus Elise. Specifications. Body : length/width/height/wheelbase – cm (in) : 379/172/114/230 (149/67.7/45/90.6); weight : 820 kg (1810 lb). Engine : transverse 4 cylinders in line 1796 cc (110 cid) inj. , mid-rear mounted, 6-speed, manual, rear-wheel drive. Power : 192 bhp @ 7800 rpm. Top speed: 240 km/h (150 mph); 0-60 mph : 5.2 sec!